Family Economic Security Partnership (FESP), SparkPoint Contra Costa, and the Building Movement Project engaged in a six month process to assess SparkPoint Contra Costa’s interest and capacity to engage in policy advocacy. 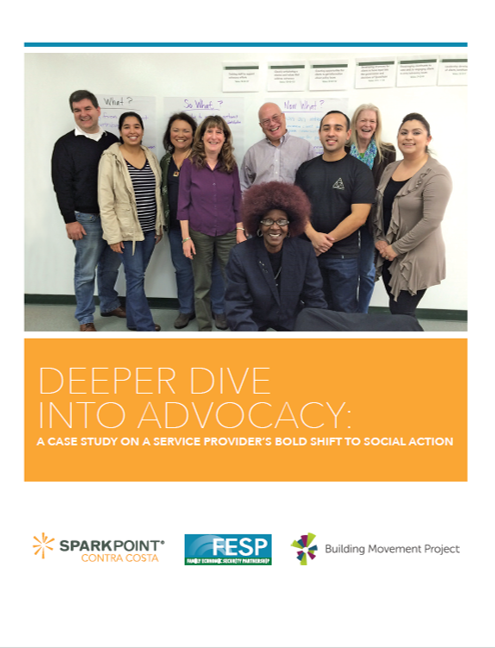 The resulting case study presents how SparkPoint Contra Costa, a direct service organization, built on its strength as an advocate for individuals to begin advocating for policy and larger system issues. The information includes an overview of types of advocacy and tips and tools for other organizations interested in adding social change activities to their daily practice. 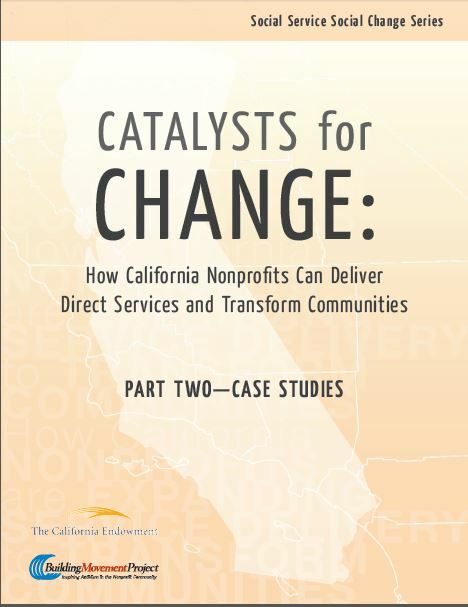 In 2009, the California Endowment and the Building Movement Project surveyed more than 450 California nonprofit service providers about their methods used to integrate social change activities into their work. Five main themes emerged from the survey results, as well as several case studies. These themes offer insights into what service providers can focus on in order to increase their capacity to engage in social change activities.